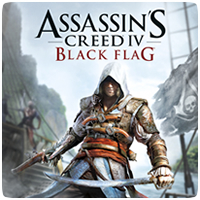 Ubisoft have released a new trailer for Assassin’s Creed IV Black Flag which focuses specifically on the next-generation version of the game, showing the technical achievements you can find on the PS4 and Xbox One versions. One of the many improvements is dynamic foliage so it’s easier to see your character when you’re being stealthy. Also, each raindrop is an individually lit object, puddles accurately mirror the world around them and volumetric fog accepts and reflects light from different sources. The next-gen version will be launching on the PS4 on November 29th in Europe and November 15th in North America – the same dates as went the PS4 releases in the respected territories.